A 9 year old boy died in a car accident in NYC on Friday night. Copper Stock was walking with his father, the oncologist Richard Stock, on the Upper West Side in New York City on Friday night when the fatal accident occurred. The young boy and his dad were trying to cross the intersection of West End Ave and West 97th Street when they were struck by a taxi driver making a left turn. 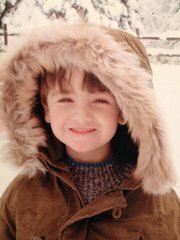 Cooper, a third grader at The Calhoun School died at the hospital. He loved the Knicks, the New York Yankees and classic rock ‘n’ roll. Unfortunately, pedestrians being struck by vehicles making left turns are all to common in NYC.